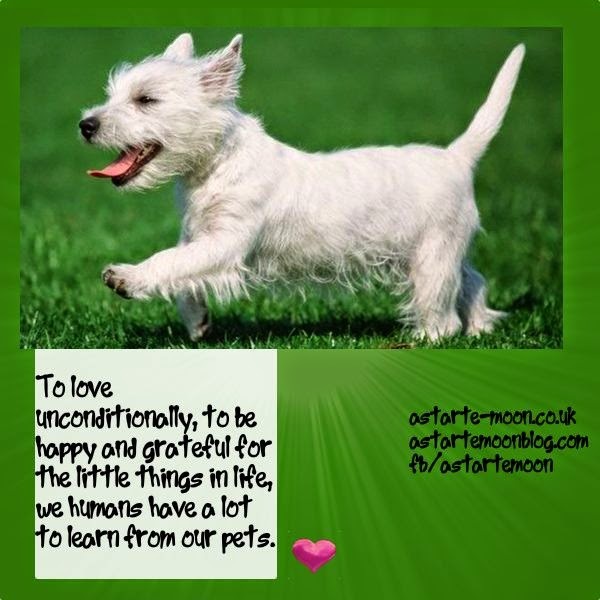 To love unconditionally, to be happy and grateful for the little things in life, we humans have a lot to learn from our pets. Absolutely true kind Alison! Pets are the essence of freedom, they are angels who make their own choice when they come to our lives and choose us as their masters...their love and loyalty is unique for us...Thanx for sharing your cute devotional messages with us... Blessed be!